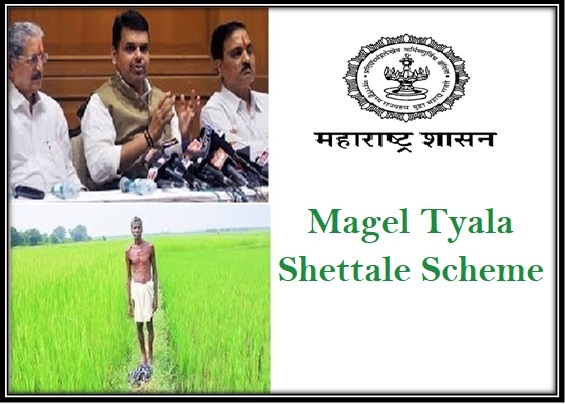 The Maharashtra State government has announced the launch of the new scheme termed as Magel Tyala Shettale farm registration scheme. Under the new scheme it is certain that the state government aims at providing with consistent supply of water to the farm lands. It is certain that with the implementation of the new scheme the state government aims at providing with regular and uninterrupted water supply for each of the farmer in the state for his farm land. It is certain that under the new scheme the state government will offer the benefit directly to the farmer and land owners in the state in their bank account. Till date the state government has made a selection of over 51,369 farm ponds to be constructed in the state under the scheme. According to sources the state government of Maharashtra shall offer assistance of Rs 50,000 for each eligible farmer. The financial assistance amount will be directly transferred in the bank account of the beneficiary farmer so they can make use of the money to build a small pond in their owned farm land. It is also certain that under the new scheme the state government will set up Geo-tagged monitoring system with an aim to follow up with each of the implemented farm pond construction process. Via its online portal it is certain that till date the state government has also managed to receive over 2,83,620 registration applications from various districts and farmers. According to the state government it is certain that a set budget of Rs 204 crore has been approved by the state government and cabinet ministry. It is certain that anyone who is interested to get the subsidy benefit under the scheme can now follow the below mentioned steps for completing the process of registration. You can first get started by officially visiting the online website at http://aaplesarkar.maharashtra.gov.in/en/. From your web browser. Interested candidates can also directly visit the registration form online via following the link http://egs.mahaonline.gov.in/Registration/Registration. Candidates will first have to create their User ID and password to complete with the process of application for subsidy under the scheme. Once you have managed to get your User ID and PW you can now get logged on to the official website and then select to fill in the details on the application form. In case you do not have access to the internet services then it is certain that you can try and visit the nearby Taluka office or Gram Panchayat office and collect more details about the registration process. To be eligible for registration under the scheme it is certain that the state farmer should be the owner of the land in the state. He should have a minimum of 0.60 hectare of cultivate land. The scheme is valid for individual land owner or a group of people or farmers who may be the owner of the piece of farm land. The scheme is only valid for the farmer who is the resident of state of Maharashtra by birth. According to the scheme the applicants have to provide with a copy of their Aadhar card as a proof of their Identification and address. In case the applicant wants to get registered under the scheme then he or she will have to provide with a copy of their caste certificate including BPL or any other. It is also obvious that the applicant will have to provide with a copy of their technical know how certification regarding construction of the farm pond. If the applicant is willing to avail the benefit as under the group then he or she will have to provide with a copy stating the names and other details of each applicants on a Rs 100 stamp paper. Once registered under the scheme it certainly is possible for any farmer to check with the application status online. To check with the status it is certain that you may have to visit the official registration website. On the redirected page https://egs.mahaonline.gov.in/TrackStatus/TrackStatus you will have to select the desired scheme and then type in your application ID number in the tab. After you click enter you shall be provided with details of your application status. Under the new scheme the state government of Maharashtra aims at offering benefit for the farmers so they can easily get uninterrupted water supply for their cultivation of farm lands.